According to the Centers for Disease Control, drunk driving accounts for 31 percent of all automobile fatalities every year. Fortunately, if you claim Arizona as your home, you are in the state with the toughest record on DUI enforcement and prevention. According to a survey from WalletHub.com conducted in all 50 states, Arizona is number one when it comes to enforcing DUI convictions. 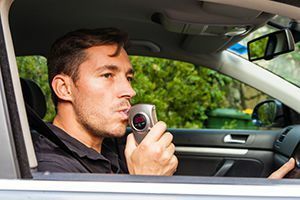 If you or someone you love is injured by a drunk driver, do not hesitate to contact the drunk driving lawyers at Phillips Law Group for a free consultation to determine if legal action is right for you. In Phoenix and other parts of the state, drivers guilty of a first offense get a minimum of 10 days in jail, and second-time offenders get a minimum of 90 days in jail. For a third offense, a drunk driver faces harsher penalties, including an automatic felony. While a three-month drivers license suspension is required in Arizona, Wyoming stands out as tougher with a 90-month suspension. No one who drives drunk asks your thoughts on the matter before you are injured. Drunk driving injuries are life-changing, even fatal. If you are victimized by a drunk driver, you need immediate justice but must seek redress through the civil courts. A criminal conviction is never enough to console you and your family. Before you trust any law firm with your claim for severe injuries from a drunk driving accident or other car accidents, choose a personal injury lawyer from Phillips Law Group. Operating in Phoenix, AZ, Salt Lake City, UT, and San Diego, CA, we have extensive experience in drunk driving cases and other claims involving car wrecks. Our auto accident attorneys passionately work to secure all clients a just settlement for injuries sustained in an auto accident. Dont seek justice for car accidents alone. Get justice under the law. Aggressive representation is your best bet for winning fair compensation. Call or text 1-800-706-3000 for a free consultation or complete a Free Case Evaluation form.